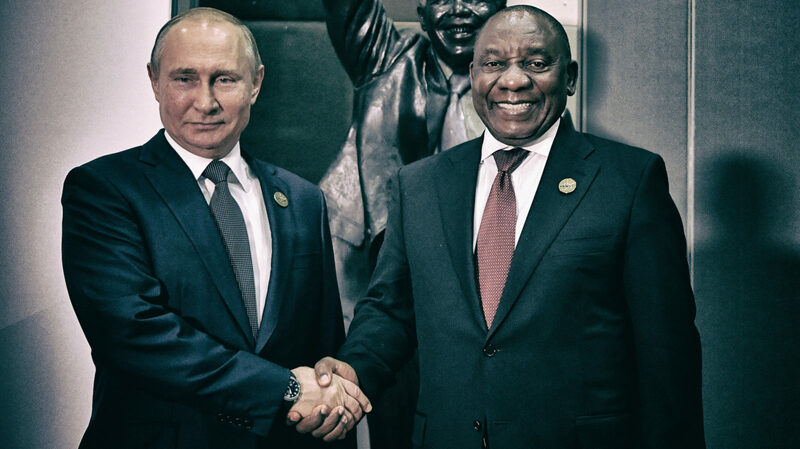 While the controversial $76-billion nuclear energy deal between South Africa and Russia is off the cards, the country — and by extension, the remaining BRICS nations — is still on Russia’s horizon when it comes to energy partnerships. Looking back, the flawed nuclear deal offers lessons for future engagement on this front. BRICS — the bloc of Brazil, Russia, India, China and South Africa — represents some of the world’s largest energy consumers and producers. By 2040 the BRICS nations will account for 45% of all global energy consumption and production, the Analytical Centre of the Government of the Russian Federation predicts. Russia is one of the world’s largest gas and oil producers and exporters, with significant proven reserves and extensive expertise and technological capacity. That’s why the BRICS energy agenda is central for Moscow. In 2016, petroleum and gas accounted for more than 50% of Russia’s exports. The energy sector drove Russia’s economic boom from 2003 to 2008 with high commodity prices. Russia’s over-reliance on these industries, however, makes the economy vulnerable to changes in global energy commodity markets. The effects of the 2008 global financial crisis were somewhat mitigated by Moscow’s National Stabilisation Fund. The Russian government has subsequently undertaken measures to reassess the role of oil and gas in the economy and render its energy security less vulnerable to shocks. This diversification strategy has included a central role for nuclear energy. A key element of Russia’s Energy Strategy to 2035 (first published in 2015) is developing and exporting nuclear energy goods and services, to spur infrastructure and technology development and drive economic growth. This strategy of tochki rosta (points of growth) also aims to use energy infrastructure projects to spread economic and social development across Russia, as seen in the Power of Siberia Pipeline that will transport gas from Siberia (Irkutsk and Yakutia gas production centres) to consumers in Russia’s far east (and China too). The pipeline, stretching over 3,000km, is a fundamental element of a 30-year gas supply contract with China to the value of $400-billion, which is expected to promote economic growth across Russia’s far east. As relations between Russia and its traditional energy partners in the European Union deteriorate, Moscow has had to reorient itself towards new partners. This new direction in Russian foreign policy, dubbed Povorot na Vostok (Russia’s Pivot to the East), implies closer economic and energy ties to emerging and developing markets (including BRICS and African countries). Moscow’s engagement with Pretoria is part of this diversification strategy. But equally, Pretoria has a strong incentive to engage on energy co-operation with Russia. Starting in 2008, the country has been plagued by an electricity crisis due to ageing and insufficient generation infrastructure. The situation has illustrated the need to diversify and increase the country’s electricity supply, which hampers economic growth. It is against this backdrop that Russia and South Africa began negotiations on a nuclear energy deal in 2010. Following Jacob Zuma’s resignation and appointment of Cyril Ramaphosa as president of South Africa, the country has undergone a policy shift away from nuclear and has looked to renewable energy projects instead. While nuclear seems off the radar for now, in January 2018 an agreement was signed between the Russian state energy company Rosatom and the South African government to construct small hydropower plants in Mpumalanga to power rural regions of the country. This is a key component of South Africa’s energy security strategy. Each mini hydropower plant is expected to power 250 to 400 houses. This project could be the first of several small hydro projects aimed at generating innovative and affordable energy in South Africa and across the continent. In its strategy to expand in Africa, Rosatom’s CEO Dmitri Shornikov has announced scholarship opportunities for African students to develop research on nuclear energy.